Bangladeshi Actress Qazi Nawshaba Ahmed has been placed on a second time of remand for spreading rumours on social media for safe roads. 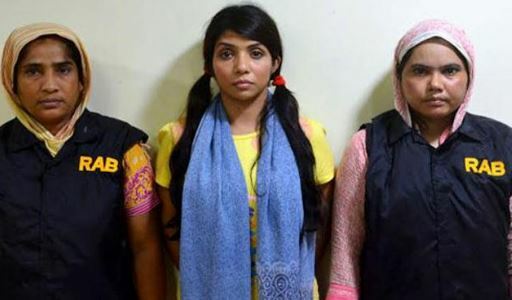 Dhaka Metropolitan Magistrate Amirul Haider Chowdhury allowed Quazi Nawshaba Ahmed to be taken in for 2-day remand after DMP placed her before the court wanting her in custody for questioning again to get more information. ons during hearing before the court and said she was overwhelmed with emotion while recording the video and posted on social media. On August 5, 2018, BD actress Quazi Nawshaba Ahmed was placed on a 4-day remand after Bangladesh police produced her before the court with a 7-day remand. Actress Quazi Nawshaba Ahmed arrested from Uttara of Dhaka City on August 4, 2018 for allegedly spreading rumours on social media like Facebook about the student protests on Safe Roads. Actress Qazi Nawshaba went to Facebook live around 4:00pm on August 4, 2018 and said that the attackers killed 2 students and gouged out the eyes of another at Jigatala of Dhaka City, Bangladesh. In her Facebook live Video, the Actress Qazi Nawshaba Ahmed requested people to get united, take to the streets to ‘protect’ the school and college students as they were attacked by Chhatra League activists in Jigatala area. A group of 25-30 youths, said to be Bangladesh Chhatra League activists, swooped on the students with sticks in front of the BGB Pilkhana gate around 2pm on August 4, 2018, leaving some of students and Journalist injured. Finally, members of Border Guard Bangladesh BGB came out of the Pilkhana headquarters and brought the situation under control. 2013 : Udhao Mita, 2015 : Chuye Dile Mon, 2016 : Prothiruddo, 2017 : Dhaka Dreams, 2017 : Dhaka Attack, 2017 : Chondroboti Kotha Sonai, 2017 : Bhubhan Majhi. Nawshaba Ahmed born on May 8, She is living in Dhaka, Bangladesh. Performed in many dramas, films, commercial Advertising. Ahmed was arrested on 4 August, 2018 at 10:30 PM from Uttara, Dhaka by RAB. 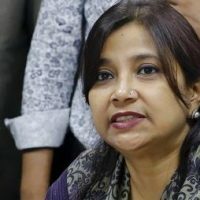 Actress Ahmed was accused of spreading false news over the 2018 Bangladesh road safety protests. On 5 August 2018, RAB officials claimed that the actress confessed to the allegations.